Preheat your Yoder Smoker YS640 to about 450ºF. Grease a Lodge Logic 12” Cast Iron Skillet. 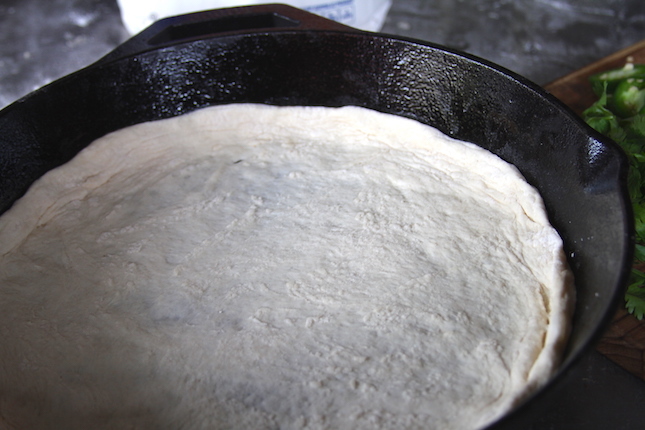 Place the dough in the greased skillet. 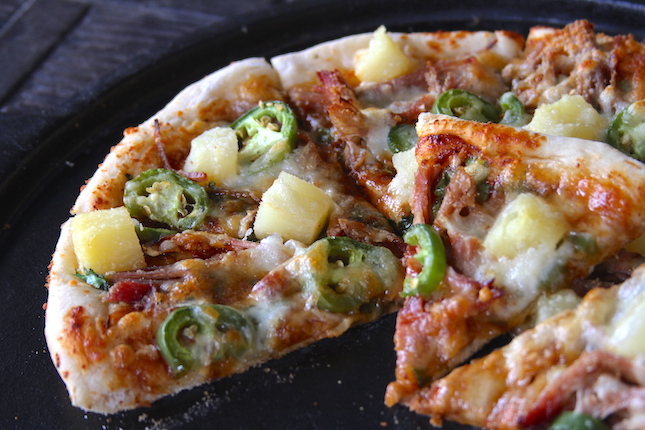 Spread the Pineapple BBQ Sauce over the dough. 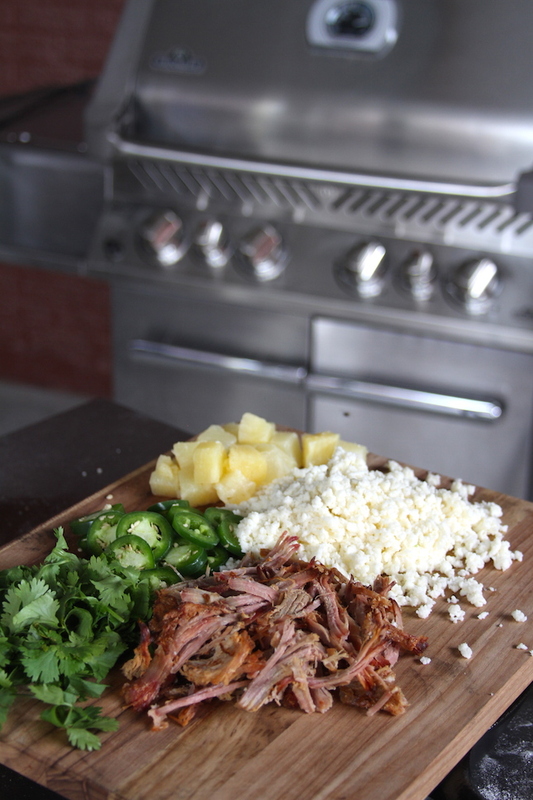 Top the sauce with cilantro then pork, pineapple and jalapeños. Then sprinkle the cheeses over the toppings.Place the skillet in the cooker. Let bake with the lid closed for 15-20 minutes, or until the bottom of the dough is cooked through and the bottom lightly browned (slide a spatula under the dough to check). 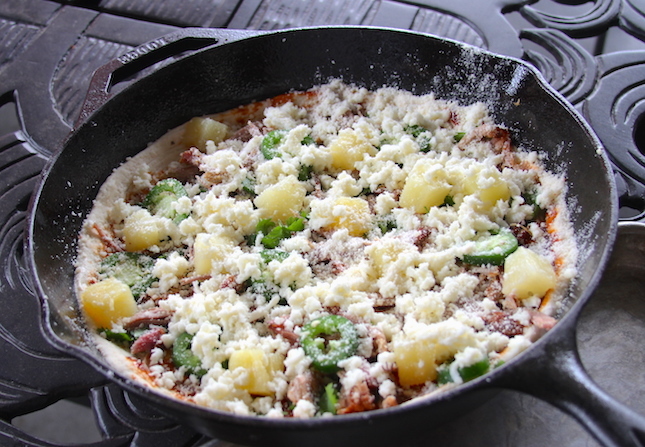 Remove the skillet from the cooker and the pizza from the skillet. Slice & serve. 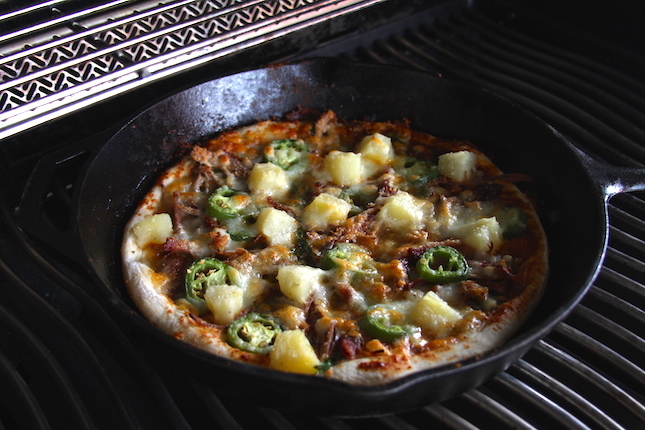 Pineapple BBQ Sauce-Combine all ingredients in a skillet. Reduce by half over low heat. Pizza Dough-Combine ingredients in a bowl of a stand mixer fitted with the hook attachment. Mix on medium-low until flour is incorporated. Once all ingredients are incorporated and a ball is formed mix 8 minutes. Transfer to an oiled bowl. Cover with plastic wrap. Let rise until doubled in size. Turn out onto a floured surface and divide into three portions. Roll each third into a ball, place in an oiled container. Cover. Refrigerate at least half an hour before use.